Citroen will unveil a concept of the C3 WRC car at the Paris Motor Show 2016. 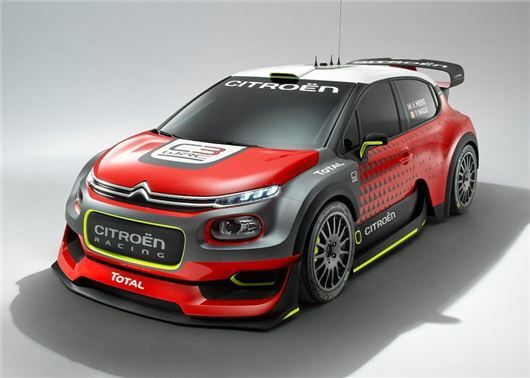 The concept C3 marks Citroen's return to the world rally championship and features a 385PS 1.6-litre turbo petrol engine. The C3 WRC will never go into production as a customer car, but could result in a hotatch version of the standard C3. The Citroen C3 WRC is still being developed, which means the Paris Motor Show car will officially be a concept. However, off the record, the car is said to be very close to the rally machine that will debut at the Monte Carlo Rally in January 2017, with Britain's Kris Meeke behind the wheel. The car is 25kg lighter than the standard 2017 C3 and comes in full race trim, with aerodynamic skirting, front spoiler, carbon door mirrors and a vast rear wing. Stretching almost two metres wide and four metres in length, the racing C3 is roughly the same size as a family SUV - albeit it with a sub-four second 0-62mph time. The C3 WRC will never go into production as a customer car, but it could inspire a hothatch version of the standard C3, with a 1.6 litre petrol engine sending 200PS to the front wheels. The C3 hothatch would also get Ford Fiesta ST rivalling handling, with sports suspension and a short-shift six-speed manual racing box. The standard 2017 Citroen C3 will go in sale in the UK in January and feature a range of 1.2-litre three-cylinder petrol PureTech engines, with 68PS, 82PS or 110PS. The 1.6-litre diesel engines will range from 75PS to 100PS and return an official 70+mpg.